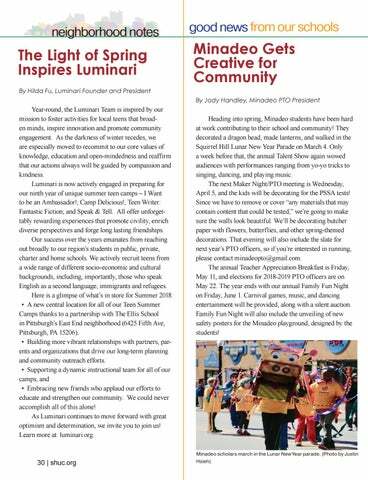 Year-round, the Luminari Team is inspired by our mission to foster activities for local teens that broaden minds, inspire innovation and promote community engagement. As the darkness of winter recedes, we are especially moved to recommit to our core values of knowledge, education and open-mindedness and reaffirm that our actions always will be guided by compassion and kindness. Luminari is now actively engaged in preparing for our ninth year of unique summer teen camps – I Want to be an Ambassador! ; Camp Delicious! ; Teen Writer: Fantastic Fiction; and Speak & Tell. All offer unforgettably rewarding experiences that promote civility, enrich diverse perspectives and forge long lasting friendships. Our success over the years emanates from reaching out broadly to our region’s students in public, private, charter and home schools. We actively recruit teens from a wide range of different socio-economic and cultural backgrounds, including, importantly, those who speak English as a second language, immigrants and refugees. Here is a glimpse of what’s in store for Summer 2018: • A new central location for all of our Teen Summer Camps thanks to a partnership with The Ellis School in Pittsburgh’s East End neighborhood (6425 Fifth Ave, Pittsburgh, PA 15206). • Building more vibrant relationships with partners, parents and organizations that drive our long-term planning and community outreach efforts. • Supporting a dynamic instructional team for all of our camps; and • Embracing new friends who applaud our efforts to educate and strengthen our community. We could never accomplish all of this alone! As Luminari continues to move forward with great optimism and determination, we invite you to join us! 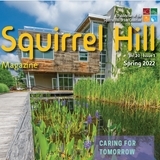 Learn more at: luminari.org. Heading into spring, Minadeo students have been hard at work contributing to their school and community! They decorated a dragon head, made lanterns, and walked in the Squirrel Hill Lunar New Year Parade on March 4. Only a week before that, the annual Talent Show again wowed audiences with performances ranging from yo-yo tricks to singing, dancing, and playing music. The next Maker Night/PTO meeting is Wednesday, April 5, and the kids will be decorating for the PSSA tests! Since we have to remove or cover “any materials that may contain content that could be tested,” we’re going to make sure the walls look beautiful. We’ll be decorating butcher paper with flowers, butterflies, and other spring-themed decorations. That evening will also include the slate for next year’s PTO officers, so if you’re interested in running, please contact minadeopto@gmail.com. The annual Teacher Appreciation Breakfast is Friday, May 11, and elections for 2018-2019 PTO officers are on May 22. The year ends with our annual Family Fun Night on Friday, June 1. Carnival games, music, and dancing entertainment will be provided, along with a silent auction. Family Fun Night will also include the unveiling of new safety posters for the Minadeo playground, designed by the students!